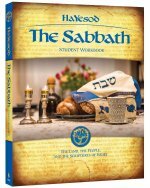 HaYesod: The Sabbath resources for groups and individual students give everyone who desires to use the HaYesod program all the tools they need to have a compelling Bible study on the topic of the Sabbath and Jewish Festivals. 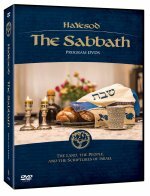 This resource contains the 10 HaYesod: The Sabbath lessons on DVD videos. This resource can be added as an option, at a discount rate, if you purchase the HaYesod: The Sabbath, Video Pack, which includes the Video lessons in downloadable digital format. 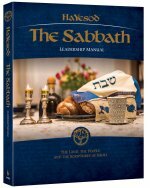 The HaYesod: The Sabbath Leadership Manual is virtually identical to the HaYesod: The Sabbath Student Workbook, but includes many critical additions specially created for leaders who host groups, including administration guidelines, course management, etc. It includes a complete answer key to the student workbook and has additional leadership notes and helps. This is the audio version of the HaYesod: The Sabbath, Program Videos, containing the 10 HaYesod: The Sabbath lessons recorded on ten CDs. The audio version of the HaYesod: The Sabbath, Program Videos containing the 10 HaYesod lessons recorded on MP3 tracks.